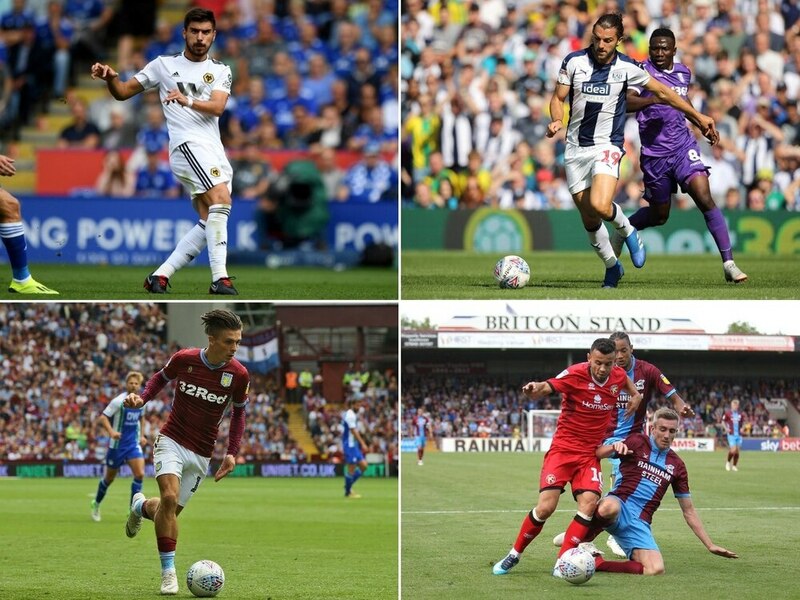 FIFA 19 player ratings: Who tops the pile for Wolves, West Brom, Aston Villa and Walsall? The latest edition of the hit video game, FIFA is out this month - but how do your favourite players rate this season? EA Sports, the creators of FIFA rank players in a huge array of areas, culminating in a score up to 99. For example, this season Cristiano Ronaldo and Lionel Messi are the joint-highest rated players, each with a mind-blowing score of 94. The only team in the West Midlands that is in the top flight of English football this season, Wolves have already seen Molineux's digital adaptation included in this season's game. But who's the highest rated player on the squad? Rui Patricio tops the list for Wolves. 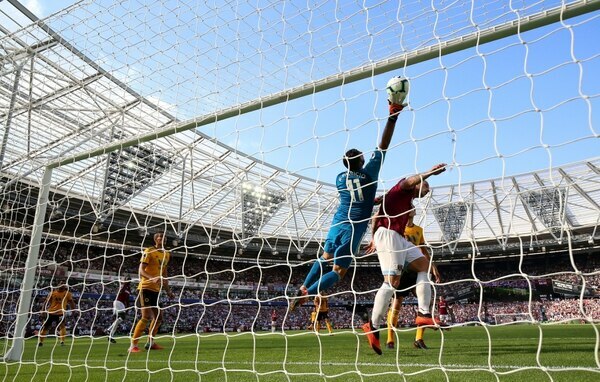 That's right Wolves fans, the new goalkeeper is the man who takes the prize as the club's highest rated player this year with a very respectable score of 83, the same as last season. Given his international pedigree and obvious quality, it's no surprise to see him top the pile at Molineux. What's also impressive is his joint-seventh position in the sizeable list of Premier League stoppers too, equal with new Chelsea goalkeeper Kepa Arrizabalaga and Everton number one Jordan Pickford. Somewhat surprisingly claiming the silver medal of Wolves FIFA 19 ratings is Joao Moutinho, with a score of 81 - down one point from the previous version of the game. Making the move to Molineux in a coup earlier in the summer, Moutinho has already impressed since joining, and is quickly becoming a fan favourite. With passing and dribbling scores of more than 80, along with a handy 76 rated shooting ability, Wolves fans should be able to use Moutinho in their midfield with ease in the new game. What's that? Wolves' star-man doesn't get a sniff above the 80 mark? That's right. Neves comes in with a 'low-ball' score of just 79 in FIFA 19, a two point increase on his previous rating last season. What's most surprising about Neves' in-game stats is his shooting skill, which is a lowly 70. Did EA miss the Derby County game? It's worth noting that last season's version of FIFA released a commemorative version of Neves in their 'Ultimate Team' game mode, which rated him at 88 after his performances over the course of the season. Wolves fans will be hopeful that the same thing happens this year. 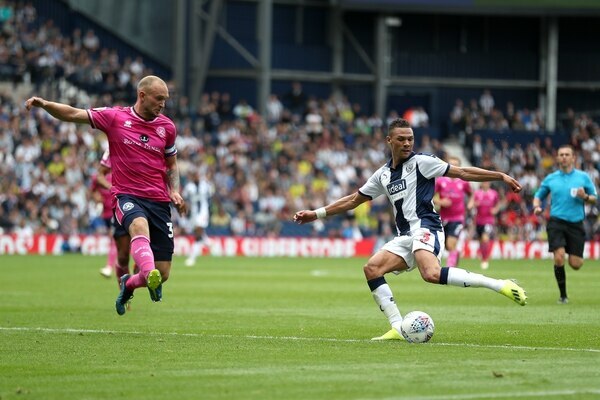 Dropping down into the Championship following their relegation, West Brom fans will need to battle their way out of the second tier on FIFA 19 too if they want to challenge the big boys on their games console. Wanted to see a name like Dwight Gayle or Harvey Barnes here? Well, you'll be sorry to hear that neither player cracks Albion's top three, believe it or not! No, it's left-back Kieran Gibbs who tops the pile at The Hawthorns, one point down from last season's rating of 78. It's a surprising move to say the least, but given his spell with Arsenal and previous England appearances, it seems he's still highly rated by the folks behind FIFA. Up one rating point from last season, Jay Rodriguez is second in the rankings at Albion down to EA's complex player statistics. With a pace score of 76 and shooting stats a shade lower at 75, Baggies fans should be banging in plenty of goals with the former Southampton man in the new game. Given his hard work last season and his strong start to this campaign, it's no surprise to see J-Rod up amongs the best at Albion. Technically joint-third with Craig Dawson and Matt Phillips (all of whom have a 76 rating), Hegazi again wins out due to his other stats. The Egyptian did well enough to earn a permanent deal at The Hawthorns last season, and EA have rewarded him too, upping his rating by one point this season. With a defensive rating of 76 and 81 physicality, the towering centre-back should be one of the first names on Albion fans' team sheets on FIFA 19. Craig Dawson (76), Matt Phillips (76), Sam Johnstone (75), Dwight Gayle (75), Jake Livermore (74), Chris Brunt (74), Kyle Bartley (73), James Morrison (73), Gareth Barry (73), Oli Burke (70), Boaz Myhill (70), Harvey Barnes (69), Hal Robson-Kanu (68), Sam Field (67), Conor Townsend (67), Jonathan Leko (66), Tyrone Mears (66), Kyle Edwards (65), Tosin Adarabioyo (65), Jonathan Bond (64), Rekeem Harper (63), Rayhaan Tulloch (61), Kyle Howkins (61). Another season of Championship football at Villa Park, Steve Bruce's side avoided financial catastrophe with Nassef Sawiris' and Wes Edens' takeover, but can they come up at the third attempt? Yannick Bolasie hasn't featured for Villa yet, but is their best player according to the game. It's no surprise to see Villa loanee Yannick Bolasie topping the charts here - especially given that FIFA actually has a skill move named after the tricky winger. 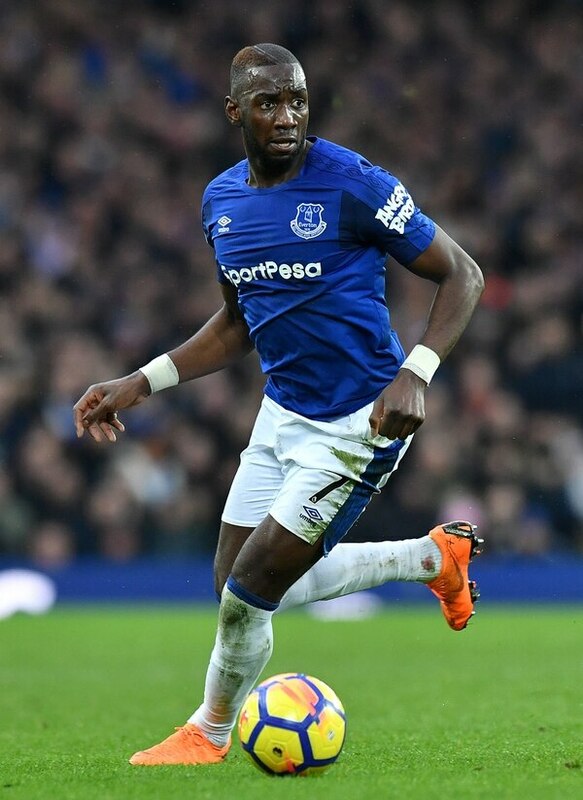 The Everton man comes in at 77 this season, with a pace rating of 82 and dribbling skill of 82 too (plus a five star rating when it comes to skill moves). Big things are expected of the former Eagle this season in real life, but in the game Villa fans will also be able to score some great goals with the winger too. Villa's golden boy over the past year, Jack Grealish has received a healthy three-point bump this season, making him Villa's second highest rated player on the game. His dazzling form last season has seen his dribbling skill pushed up to 80, although his shooting still needs work at 63 - his pace of 74 should also be handy for video game fans too. Given another season showing similar quality, don't be surprised to see the Villa man edge closer to the magical 80 mark next season. Sneaking in to the top three at Villa Park with a score of 75 is Jonathan Kodjia, marginally ahead of Albert Adomah and James Chester. He failed to get Villa Park bouncing too much last season due to his injury struggles, but he's maintained the same overall score he held last year for FIFA 19. Fast and with good shooting, dribbling and physical stats, King Kodjia could cause problems for your opponents if you're a fan of the game. It's been a great start for Dean Keates' side this season in League One, but who stands out on the Saddlers books on FIFA? 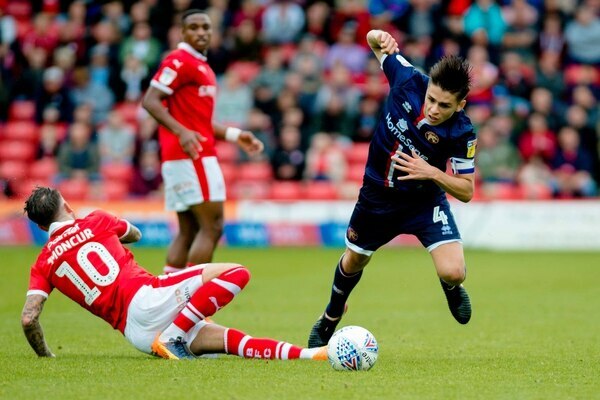 George Dobson is FIFA's best Walsall player. Who else to top the pile than the man who effectively kept Walsall up with THAT goal last season in George Dobson. Tied equal with the rest of the top three in terms of overall rating, Dobson nips in at the number one spot due to his other stats, topped by his physicality rating of 74 and high defensive work rate in the game. He's been great in a Walsall shirt over the past 12 months, and if you play with him on FIFA 19, maybe you could score the goal which gets the Saddlers promoted? Anyone for pure pace in the Saddlers ranks? Try Zeli Ismail, with an eye-watering speed stat of 89 this season, along with a four star skill move rating to boot. Saddlers fans have had plenty of fun watching him to start the season in real life, and with a controller in their hands, gamers should have plenty of fun with him on FIFA too. He's up one skill point over last season too, so clearly the folks at EA rate him. The final Saddler with a 67 rating, Joe Edwards has seen plenty of time on the treatment table of late, but once he's fit on FIFA 19, expect him to have a real impact on your virtual team. A 74 rating for his pace will be very useful as you aim to fight out of League One, while a 77 physical score also makes him menacing to opposition players in close quarters too. On top of these stats, he's also a hard worker on the game both going forward and at the back, making him a real asset off the ball - just as he is in real life!